Convicted murderer Darren Jackson has been caught after a police manhunt. Jackson (51) absconded from HMP Sudbury on September 13th, but was arrested on Thursday on suspicion of being unlawfully at large. The killer was arrested in the Staffordshire Moorlands by Staffordshire Police and remains in custody. 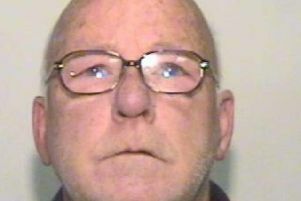 He was convicted in March 1986 to serve a life sentence for the murder of Gillian Ellis in Burnley.